A man attempted to leave an Islandia Wal-Mart with a shopping cart full of unpaid merchandise. Islandia, NY - March 25, 2014 - Suffolk County Crime Stoppers and Suffolk County Police Fourth Precinct Crime Section officers are seeking the public’s help to identify and locate the man who stole merchandise from an Islandia store. 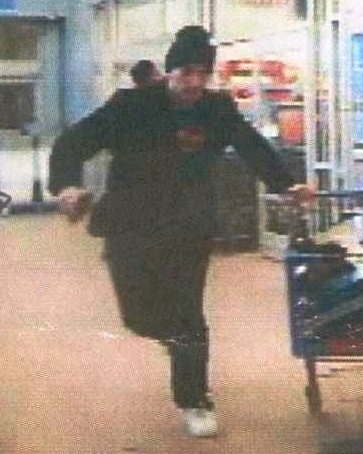 A man entered Walmart, located at 1850 Veterans Memorial Highway, on February 20 at approximately 5 p.m. and put assorted merchandise, including clothing and toys, in a shopping cart. A store employee approached the man as he attempted to leave the store without paying for the merchandise. The man fled the store, leaving the merchandise behind. The man was described as white, approximately 5 feet, 10 inches tall with a medium build. Subject: LongIsland.com - Your Name sent you Article details of "Suffolk Crime Alert - Wanted for Petit Larceny"